Gina Passarella and Nicholas Bruch take a look at the 2018 Am Law 100, analysis of data, the process, what this means for law firms, and comparisons to prior years. The American Lawyer’s Am Law 100 has been recognized as the definitive public ranking of financial performance for the nation’s largest law firms since its introduction in 1987. According to the press release, The American Lawyer has released the 2018 Am Law 100 data, providing a detailed look at the financial health of an industry that exhibited its highest growth in key financial metrics since the fiscal year 2010! On Lawyer 2 Lawyer, hosts Bob Ambrogi and Craig Williams joins Gina Passarella, editor-in-chief of The American Lawyer and Nicholas Bruch, senior analyst at ALM Intelligence, as they take a look at the 2018 Am Law 100, analysis of data, the process, what this means for law firms, and comparisons to prior years. Gina Passarella: Perhaps our definition of best or something to cheer for has changed in the last 10 years. In 2017, we saw an average growth in gross revenue of 5.5%, revenue per lawyer grew 3.2%, and that comes off of 2016, where only about 1.5% growth over that metric, so that was a big improvement in a very key metric. Nicholas Bruch: What I would say to firms is the Am Law data, what it tells the story of is that day-to-day management is ultimately the difference between winning and losing and that’s what really rung out to me in the data. J. Craig Williams: Welcome to Lawyer 2 Lawyer on the Legal Talk Network. I am Craig Williams coming to you from Southern California. I write a blog called May it Please the Court and have a book out called The Sled. Bob Ambrogi: And this is Bob Ambrogi coming to you from just outside of Boston, Massachusetts, where I write a blog called LawSites and also host another Legal Talk Network program called Law Technology Now along with Monica Bay. J. Craig Williams: And before we introduce today’s topic, we would like to thank our sponsor Clio. Clio’s cloud-based practice management software makes it easy to manage your law firm from intake to invoice. You can try it for free at HYPERLINK “http://www.Clio.com” clio.com. That’s HYPERLINK “http://www.Clio.com” clio.com. Bob Ambrogi: So the American Lawyer Magazine, as it has done pretty much every year, not pretty much, every year since 1987, this week released its Am Law 100, which is kind of perceived as the definitive public ranking of financial performance for the nation’s largest law firms. Today’s data provides a detailed look at the financial health of an industry that’s exhibited its highest growth in key financial metrics since the fiscal year 2010. J. Craig Williams: And Bob, today on Lawyer 2 Lawyer we are going to take a look at the 2018 Am Law 100, the analysis of the data that went into it, the process, what this means for law firms and comparisons with prior years. Bob Ambrogi: And to help us do that today we have two guests. First of all, joining us is Gina Passarella, Editor-in-Chief of The American Lawyer. She has covered the business of law for her entire career, first as a reporter and special projects editor with The Legal Intelligencer in Pennsylvania and then as a senior editor for business of law in ALM’s global newsroom. She took over as Editor-in-Chief of The American Lawyer in January 2017. Gina, welcome to Lawyer 2 Lawyer. Gina Passarella: Thank you so much for having me. Happy to be here. J. Craig Williams: And Bob, Gina, our next guest is Nicholas Bruch. He is the Senior Analyst at ALM Intelligence. Nick’s experience includes advising law firms and law departments in developing and developed markets on issues related to strategy, business development, market intelligence and operations. Prior to joining ALM Legal Intelligence, Nick was a consultant with Huron Consulting’s Law Firm Strategy Practice in the firm’s New York and London offices. Glad to have you on the show Nick. Nicholas Bruch: Thank you for having me. Bob Ambrogi: So Gina, why don’t we start with you and I guess the headline is, here is a very good year for large law firms, but why don’t you start by explaining to our listeners exactly what the Am Law 100 is. Gina Passarella: Sure. So the Am Law 100 is the ranking of the 100 largest law firms in the United States based on gross revenue. So we break that data out in other metrics as well, including profits per equity partner, revenue per lawyer, compensation for all partners, but the definitive ranking of the 100 largest firms is based on gross revenue. And you are correct that they had a banner year. It was somewhat of a surprise to some in the industry, including a lot of the pundits, the banks, myself and the firms themselves I think, but it was a strong year. And as I say, I spoke with a lot of managing partners in the month leading up to our report coming out and they kept saying, you know, I am waiting for the firms who didn’t have a good year to post their numbers, I figure they are just waiting, would they go last, and they never came, and so more and more firms posted positive results. Bob Ambrogi: So what made it a banner year, what was the — I mean, I think your reporting was that this was pretty much the best year since the recession a decade ago, what made this remarkable or notable? Gina Passarella: Sure. There were individual metrics that saw better years in 2010 or even in 2014, but when you look across all of the financial metrics that we track, this was clearly one of the best years since the great recession. And perhaps our definition of best or something to cheer for has changed in the last 10 years, but we saw in 2017, which is what the 2018 Am Law data tracks, the 2017 fiscal year, we saw an average growth in gross revenue of 5.5% among the Am Law 100, revenue per lawyer grew 3.2%, and that comes off of 2016, where only about 1.5% growth over that metric we saw, so that was a big improvement in a very key metric that we regard as one of the biggest barometers of the health of the law firm. And profits per equity partner, 6.3% average growth, that’s some of the biggest growth in that metric we have seen in almost 10 years. So it’s the firms are doing something right, they are working hard to get these numbers, but they got them. J. Craig Williams: Well Nick, since the Forbes 400 list is going through a little bit of a flap about how you get on that list. Can you explain to our listeners how people get — how law firms are involved and what the process is to make up the Am Law 100? Nicholas Bruch: Sure. We go out to law firms and we ask them for their financial performance. We ask obviously many more law firms than 100; in fact, we ask many more than 200 so that we can make sure we are double-checking. And then we also, Gina’s team of journalists goes out to the law firms, actually does some qualitative research to double-check the numbers we are getting, prods them, make sure that they are including the right kind of revenue and not the wrong kind of revenue. There are some types of revenue which we don’t count towards the Am Law 100. We also make sure that some of the contingency fees are coming in on the right year, not the wrong year, so they are not moving revenue around, to sort of make a good year when they didn’t have it. So there’s a lot of double-checking that’s gone in the process, and that’s essentially the process. What you see came out today is sort of the outcome of a lot of the ALM’s Intelligence Team, combined with the journalists to produce the Am Law 100 list that you see today. Bob Ambrogi: Gina, why does this matter? Why do we care? I mean as I said, American Lawyer has been doing this since 1987, but other than, I don’t know, a juiciness factor perhaps or interest factor, does it matter at all to clients, to the legal industry broadly? Gina Passarella: So I may be biased, I like to think it matters. This is a massive industry and particularly in a lot of the individual communities that ALM covers, law firms are a big group of the employers, they employ a ton of people. The health of these firms matter to a lot of people and the health of law firms in general has become a barometer for lateral movement, for law students graduating law school and looking at which firms to go to. And that’s not just on the profit side. And there’s some debate and I have read even today about what clients think of this and certainly some clients look at this and think, my law firm better not have profits like that, and others think hey, I want somebody representing me who is a healthy establishment and I know is going to be around for a couple of more years. But I think this paints a picture of the health of law firms and I think it’s become even more relevant in an age where firms are evolving, the evolution of the legal services delivery model is evolving so rapidly that as we track how firms are faring financially, it’s really a testament to how they are adapting to this new market. So I think these numbers are becoming increasingly relevant in fact. Nicholas Bruch: I would agree. I think that the numbers are becoming more relevant and more important. I can tell you when I worked as a consultant, we turned to these numbers a lot and we turned to them for a variety of reasons. We turned to them for benchmarking reasons. Firms would want to know how well their peers were. We also turned to them to encourage firms to do certain things that maybe they weren’t doing. And so in some respect the Am Law data was used as a call to action, right. We could point to other firms that were increasing their profitability faster, because they were managing costs tighter or because they were increasing or decreasing their leverage. And all of those things combined to provide a business case to law firms to change the way they were working. And so I think these numbers are important, and to Gina’s point, I think they are becoming increasingly important. Bob Ambrogi: So you look at a firm, I mean a firm like — the top firm on the list this year is Kirkland, and I think if I understand it kind of swapped places from second to first from last year’s survey to this year’s survey. What’s Kirkland doing right, if that’s the right way to put it that makes it stand out as the top of this list? Gina Passarella: Well, I will let Nick get into it, he has had some great theories on specifically what Kirkland is doing and has looked at the numbers of that firm more specifically, but I will just say that you are right that — I mean this is the first year that the market has ever seen any firm break the $3 billion in gross revenue mark, and two firms did it. When we saw Latham was just the first out of the gate to report and we thought, okay, it will be the standard issue Am Law 100, this next year with the same firm at the top, who can beat that, and then lo and behold here comes Kirkland with substantial increase in headcount, which helped bolster that revenue growth, but it wasn’t everything. I mean they are getting into new markets deeply and it’s paying off. And I know, Nick, I will pass it to you because I know you have some thoughts on exactly how they are doing that and how it is paying off. Bob Ambrogi: Yeah, and just a note on that, according to your survey they showed nearly 20% jump in revenue from last year, it’s pretty substantial. Gina Passarella: $500 million, that’s bigger than most firms. J. Craig Williams: Nick, you mentioned that there were contingency balances that were used in the process. You made sure they were coming in on the right year. What do you see law firms using in terms of flat fees instead of just hourly? Are you seeing much use of that in analyzing the books you are looking at? Nicholas Bruch: Yeah, if you look over the last 10 years you definitely see an increase in the number of alternative fee arrangements and flat fees are one of those, contingency fees are another, and there are a few others sort of that are less common, but still somewhat notable. You see an uptick but it has sort of stabilized over the last couple of years and we haven’t — we have seen sort of a gradual increase, but not a tremendous increase. So we hear a lot about flat fees but they have been relegated to sort of lower value portions of the legal market for quite a while, and we are not seeing them creep up that quickly into higher value areas. Contingency fees are actually an area where we are seeing an increase in sort of medium and higher values, obviously particularly in litigation, but we are seeing quite a bit of contingency fees. And that’s part of what you see in the Am Law data. I think you see a lot of revenue volatility, firms are seeing a good year in in year one, but then a bad year in year two or conversely maybe a bad year last year and a good year this year, that’s what we at the American Lawyer sort of broadly describe as volatility. And we are seeing a lot of that and we have seen a lot of that over the last couple of years. And part of the story there is definitely a contingency fee story, where firms are seeing maybe an engagement that took two or three years to come in and the big payout is in year three, and then that falls off and maybe they don’t have another big payout for a year or two or they are searching for that next big payout. J. Craig Williams: Gina, if you are one of the partners at Kirkland and your general counsel that you have a lot of business with slides the Am Law 100 report across the table and says your law firm has had a 20% growth in revenue, that’s too much for us to pay. We want to renegotiate our fees. How do you respond to that? Gina Passarella: So that’s interesting. There’s a lot of those conversations happening across the Am Law 100. I speak to a lot of the firms at the top of the market who certainly aren’t immune from that, but you are going to hear Kirkland and others say, you know what, we will work with clients, but we are not going to hand over all of our profits. And they will turn clients away. Firms at the top of the market will increasingly look to do the more profitable work, that’s their business model, that’s the type of matters they want to go after, they are looking to do the high end work for the high end clients and leave the rest behind and they are okay with telling clients that. Bob Ambrogi: How do the small and mid-sized firms take any lessons from the Am law 100, which are the great majority of the firms in the country, how do they draw anything out of these pieces of information you have available? Gina Passarella: Sometimes I think they shouldn’t take too many lessons from the top of the market and sometimes I think there’s too much emulation going on, where they are trying to become that Am Law 10, 20 or 50 firm even and really it might be better off to know who you are and double down on that market, that client base, that firm type, and market the services that you really can be good at and structure your firm accordingly, both with staffing, pricing and compensation. So I think that a lot of the larger firms in some respect still have their heads in the sand with whether or not they need to change to these new market realities. They are making changes certainly and they are being tougher on management. I think if anything that’s what firms of all sizes can learn is that you need to make tough management decisions. That sometimes flies in the face of your typical partnership model and it’s really tough for firms to do. But aside from that, I think the smaller and mid-sized firms really have an opportunity to differentiate themselves, to find a different market niche and to be a little bit more nimble and innovative, whereas some of these large firms aren’t. Nicholas Bruch: I think Gina is exactly right, that the smaller firms should be taking lessons where they should be taking lessons and ignoring where they shouldn’t. And I think there’s a few good examples last year, the associate salary increases are not a bad example. A lot of small and mid-sized firms followed the crevasse of the world to increase associate salaries. In some cases, that was probably a good idea. In other cases, I think they were doing that because simply they assumed that they had to follow the big firms and they may not be competing in the same labor pools. In other areas, you see a lot of firms last year and over the last couple of years have done a good job at cost control, have done a good job at managing leverage, have done a lot of work on sort of the management side, the operations side, that is an area where I think a lot of law firms, smaller law firms should be looking to their bigger firms and saying how are they doing that, what can we emulate, what’s appropriate to emulate. And I do think there’s lessons there for smaller firms that are probably still very much managed by the named partner or the managing partner or a few partners. Those guys could be adopting some business practices that some of the larger firms at least have done a good job of implementing. Bob Ambrogi: Well, stay with us. We are going to take a short break and be back in just a few moments to continue discussing the 2018 Am Law 100. Bob Ambrogi: Imagine what you could do with an extra 8 hours per week. That’s how much time legal professionals save with Clio, the world’s leading practice management software. With intuitive time tracking, billing and matter management, Clio streamlines everything you do to run your practice, from intake to invoice. Try Clio for free and get a 10% discount for your first six months when you sign up at their website HYPERLINK “http://www.clio.com/”clio.com, that’s HYPERLINK “http://www.clio.com/”clio.com with the code L2L10. Bob Ambrogi: And welcome back to Lawyer 2 Lawyer, this is Bob Ambrogi, and joining my co-host J. Craig Williams and I are Gina Passarella, Editor-in-Chief of The American Lawyer, and Nicholas Bruch, the Senior Analyst at ALM Intelligence. And Nick, I wanted to just follow-up, the survey includes a number of different metrics, rankings by gross revenue, revenue per lawyer, profits per equity partner, compensation for partners, from your perspective what do you think is the most illustrative of these in terms of the health of a particular law firm or the success of a particular law firm? Nicholas Bruch: I actually think of all these metrics as different and I think they are all important and I think it’s dangerous to sort of zoom in on one as the most important. So let me give you a few examples. Revenue per lawyer is a pretty good proxy at the end of the day for a firm’s billing rate. There is a few other things that go into revenue per lawyer, but for the most part what you are looking at is the firm’s ability to increase rates on its clients. So that gives you a sense of sort of their market power. That gives you a sense of how clients value their services. Firms with higher revenue per lawyer tend to sort of play in areas that are higher up market, more high-risk work. Firms with lower revenue per lawyer tend to work in sort of more routine areas. And so I think a firm that is increasing their revenue per lawyer, that tells you something about their market position. It tells you something about their market power, their ability to increase rates. Conversely, I think profits per lawyer is probably one of the best sort of pure profit metrics. It really looks at how much profit the firm is sucking in. It includes cost control and things like that. And so there we get a sense of sort of, not only the firm’s ability to increase rates and bring in revenue, but we are also getting a sense of the firm’s ability to manage that revenue in a way that produces profits. And so I would say that’s what that metric is particularly good at. Profit per equity partner I think is often misunderstood. It is often thought of as a profitability metric. In many senses profit per equity partner is a compensation metric. It’s fundamentally what the average equity partner brings home in compensation. I think you could look at that as sort of a bragging rights metric. It is also a metric that is important in the lateral partner hiring market. Firms with higher profit per equity partner can attract the best talent. That’s important in this market. It’s particularly important in the sort of higher value spaces where clients are looking for the best people. If you have a higher profit per equity partner, you can probably convince partners to come and play in your sandbox. That allows you to win the best work and secure the highest rates and in turn pay your people the best, which in turn sort of creates that virtuous circle. So I would say all these metrics are important; it’s just important to see what they are and conversely see what they are not. J. Craig Williams: As Nick talks about lateral hires it reminds me to ask Gina, what law firms are no longer on the list from last year? I am not sure whether Sedgwick is not on there, but it was a 400 or 500 lawyer firm that no longer exists. And how does the explosion or the demise of law firms affect the flow of firms on your list? Gina Passarella: Sure. No, it’s a great question. And so this year we actually haven’t seen a big shake-up in the firms that were on the Am Law 100. We saw one firm fall off, Pepper Hamilton, it saw some declines in revenue over the last couple of years, and has slowly trickled off of the list this year, and replacing it was Davis Wright Tremaine, which has had a couple of years of strong revenue growth. But other than that, it’s really a lot of the same firms. Despite all the talk of consolidation in the market and the mergers we are seeing, that hasn’t impacted 2017’s numbers. I think we will see some shake-up with all the big law firm mergers we are seeing this year for the 2018 results next year. That might not be the case for the Am Law 200, which we are kind of analyzing and putting together now and comes out in late May, early June, where we will see a bit of shake-up; that’s where Sedgwick would have fallen off. And you see more volatility among that group in terms of who is on the list. Bob Ambrogi: There was the Norton Rose brought in Chadbourne & Parke this year and I think you comment, I forget if that was in Nick’s article that I had seen that there was some comment that that may have affected their numbers a little bit this year, is that right? Gina Passarella: Certainly. I mean it added. If you take what Chadbourne’s revenue was last we reported it individually, it may have added about $230 million, maybe a little bit more to Norton’s overall picture, but when you’re playing at that top tier like Norton already was because it was such a big firm, the movement among the list doesn’t go as dramatically as you might expect for somebody further down the list. Nicholas Bruch: Chadbourne was also shedding partners so the $230 million that they potentially added was probably somewhere closer to $150 or something like that. Bob Ambrogi: So, Gina, I just want to return to you, you said at the outset that you were surprised and that you thought some other industry observers were surprised by or would be surprised by this year’s numbers, what was it that surprised you and how do you explain it? Gina Passarella: So, I mean, I guess some of us are eating crow a little bit firstly, but I don’t know that we can all walk away celebrating either in terms of the market having a complete rebound, but there was a lot of talk, even the bank’s quarterly reports showed that there was still tension on demand, it’s a low-growth demand market, firms are not seeing clients throw more-and-more work at them, there’s a lot of market pressures that we’ve all been covering that are real, like clients taking more work inside, alternative legal service providers nipping at the heels and taking some, still some of that lower-end work. But, more-and-more they are creeping up the ladder. What will the big force impact be? There’s a number of those types of trends that are very real happening in the market; legal operations, the CLOC Consortium is meeting this week as we speak, and the impacts that legal ops folks are having on the market. These are all very real things that are having an impact in the market, and I saw a very smart observer on Twitter today comment that, yes, the firm’s pulled out a good year despite this and I think it was probably due in part to rate increases, it’s just a strong economy and that’s filling the pipeline for a lot of firms, but I think what we have to keep in mind is that maybe these firms are making adjustments in relation to these outside factors, they’re tweaking their business models. Am Law 100 are probably the best at management initiatives, they still have a lot to go, but they’re at the top of the market in terms of adjusting their business models to address these outside factors, but is it enough can they keep up what will the impact be on smaller firms and what will the impact be years forward? Will they be able to keep up this growth? And so, these outside factors are still out there. They pulled out a great 2017, but it wasn’t easy. J. Craig Williams: How does the Am Law 100 relate to law firms that are only in other countries, other than the United States, and in particular, as a follow-up to that, how do you see anything with a change in its style of ownership of firms in England and the involvement of the public coming across the pond to the United States? Gina Passarella: Sure, and Nick can certainly speak to this even more so than I can, but I will say that we also have the Global 100; so essentially in order to be on the Am Law 100, which is a list of the highest-grossing firms in the US, you have to have a plurality of your lawyers in the US. So, firms that have become larger-and-larger, for example, Sutherland, which is on our Am Law 200 merged with Eversheds, and that means that they won’t be on the Am Law 200 this coming year. They are a global firm now, they will be on our Global 100 list, which comes out in October. So, we track firms both globally and in the US, there’s a lot of overlap between the lists, but there are some differences. Certainly we’ve seen a lot of transatlantic mergers and a lot of movement among US, UK firms and global firms growing, but in terms of outside investors in law firms are allowed in the UK, that really hasn’t had as big of an impact as I think a lot of us would expect, maybe the Big Four is having a bigger impact in that regard than outside investment is. We’ve seen hit or miss models of alternative business, services kind of creep up in the UK and how they have done. And Nick, I know you’ve researched this a lot more than I have, so I’ll let you kind of talk about how that’s impacted the market if at all. Nicholas Bruch: Yeah, I think to Gina’s point, in 2007 and 2008 I think a lot of people were hopeful that these different models would have an impact on the legal industry. We have seen I think now two law firms go public; one in Australia and one in the UK, neither did particularly well. They were also sort of marginal firms, smaller firms. We’ve seen a few firms in the UK taken outside investment. Most notably there was a firm in the insurance space that did insurance work. I think that area is particularly well-suited, it’s high volume, low margin work, and makes sense to increase scale in those kind of environments; but, by and large most law firms, it’s really had very little impact, and I think we’re still waiting to see if it will have an impact. I think firms like the Big Four some of the ASPs are sort of thinking about launching legal services’ arms that would be more in the legal space. We can start to see that starting to have an impact more-and-more, but I think it’s probably going to be more likely that we’re going to see non-law firms turning into law firms, so multi-service entities rather than law firm sort of going public or taking an outside investment. We just haven’t seen that and when you talk privately to law firms, they’re just not that interested in it. 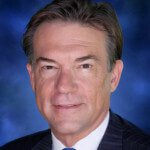 J. Craig Williams: I have to ask since this is sort of my bailiwick but there’s so much talk about technology innovation in law firms and large law firms, in particular, are — a number of them are static, there was news just today of a firm launching a sort of a technology innovation group within a firm. It’s happening a lot, both here and in Europe. Do these numbers tell us anything about how technology or how innovation might or might not be affecting the bottom line in large law firms? Gina Passarella: I’m jumping in here because we actually had a cover story on that subject not too long ago in the American Lawyer and it’s the news that just kind of bubbled over ever since with other firms announcing. I think firms are increasingly investing in technology. And I don’t just mean purchasing a software to come in and streamline a process. I mean investing in the startup, working with them, sharing data to help the startup has better capabilities and then using that to help clients or in the case today, where Reed Smith launched a tech subsidiary, it’s selling software to other law firms and clients. I mean they’re really getting into this, it helps them match the interest of younger talent who want these skill-sets, who have an interest in this field and it matches just the skills that are needed of today’s lawyers. There are groups of partners within firms who have pulled profits to invest in these types of things. So, firms are looking at this very seriously. I don’t think it’s been happening at a deep-enough level yet and at a macro-enough level to have an impact on these numbers yet, other than, maybe it’s taken a little bit of a hit out of profits, but clearly we’ve seen some strong profits this year. And so, maybe they would have been better, not for this technology, maybe they are just good because of the technology. But, I don’t think it’s been happening at a serious enough level at these firms for long enough to have impacted the numbers just yet, I could be wrong. Bob Ambrogi: Yeah, I would almost think it would take a hit out of revenue, it may be enhanced profitability in some ways but while reducing revenue. I mean, it isn’t the idea that you can be more profitable while also being more efficient, so it surprises me a little bit that the revenues have gone up in the way that they have. Gina Passarella: Well, I think firms need to deal with the overcapacity issue that they have. Yes, they’re making these trends and yes theoretically, it would allow you to do more with fewer lawyers or cheaper lawyers or lawyers out and teamed up with an alternative service provider. But, I think going back to that being tied to the partnership model and understandably so in some cases, firms haven’t really dealt with the overcapacity issue that many of them still have. So, there’s still same number of lawyers. Nicholas Bruch: If you look at the impact technology has had, e-discovery is probably the area that’s had the largest impact. And you’ve basically seen a whole raft of work, discovery work, basically taking out of law firms; that’s not entirely true but to a large case it is true, and really that had very little impact on law firms. And in truth, the major impact it had is it increased profitability. Law firms weren’t making a lot of money off of discovery work. They were keeping a lot of people busy, but they weren’t billing them out at extremely high rates. I think what technology could have is the same impact in other areas. What you could see is a lot of low value work that a lot of particularly higher value law firms don’t really want to be doing but they’re currently doing because they feel like they have to do in order to win the higher value work, it’s a package service. If they can disaggregate some of that lower value stuff away from the higher value stuff, that’s what they really want to be doing. And so I think technology could be a benefit, particularly for the larger higher value firms, they will win from that because they will really just focus on that extreme high value work and they’ll partner with some technology vendors to sort of deliver the low value stuff. You see that happening in some spaces. The collaboration between Deloitte and Allen & Overy called MarginMatrix is a perfect example of that. There was a lot of low value work in derivatives trading, cross-border derivatives trading in the UK. What Allen & Overy was able to do through the partnership is they let a lot of the low value work go to Deloitte through a software program and the work that spun off of that, the more complex stuff, they caught as it came out. And that really let them focus on what they really want to be doing at the end of the day, which is that high-risk stuff. Bob Ambrogi: Right, that unfortunately brings us to the end of our time. Lots to talk about here and lots to digest, and perhaps we can get you back on when the second 100 comes out and hear more about that, but we really appreciate your being with us today. We’d like to give each of you an opportunity to kind of give us your closing thoughts on the survey and also if you’d like to let our listeners know how they can find out more about the survey and about yourself. So, Gino, let’s start with you. Gina Passarella: Sure, well, thank you so much for having me. This has been great, love these conversations. 2017 was a fabulous year and kudos to the firms for being able to produce these results and I know it wasn’t easy. And 2018 so far is looking really strong, the economy continues to hum along, firms say that their inventory is looking good. I don’t want to be Debbie Downer here and rain on an otherwise good parade after so many years of down, but the economy’s got a turn at some point, we’re overdue for a downturn. So the question will be and we’ll look at this in our June issue, what will happen when the downturn hits and are firms prepared? But, would love to talk about these issues and others more with folks. If they’re interested, they can reach me via email at HYPERLINK “mailto:[email protected]” [email protected]. Thanks so much. Bob Ambrogi: Thanks. And Nick, how about you? Nicholas Bruch: My take is similar to Gina’s. Obviously, this was a good year. I think there is a tendency to look at the Am Law data and sort of the eye tends to go toward the bigger firms and we tend to sort of think the bigger firms are doing better or the deal firms are doing better. And the thing that I’d say — and I think this is relevant for firms going forward is that firms in every segment of the market were over-performers and under-performers. There were some regional firms in smaller markets that did extremely well. And I think what that tells you is that market positioning and strategy is really important. I think management and execution is the most important. And I think that going forward firms need to be thinking about that, they need to be investing in day-to-day management alongside investing in sort of that longer-term strategy thing, that so many firms have in mind. They are thinking about mergers, they are thinking about office openings, but what I would say to firms is the Am Law data, what it tells the story of is that day-to-day management is ultimately the difference between winning and losing, and that’s what really rung out to me in the data. J. Craig Williams: Well, thank you both very much for your thoughts and sharing the new list with us today. We want to special thanks issue out there to Rachel Walinski, the Corporate Communications and PR Manager at ALM for her assistance on today’s show. Bob Ambrogi: Yeah, and that brings us to the end of the show. 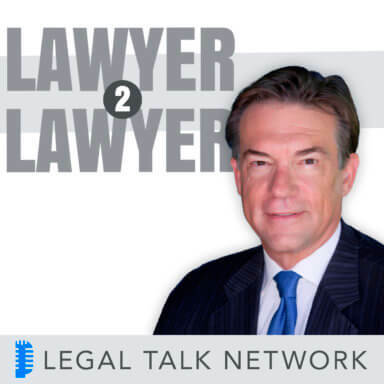 If you like what you heard today, please rate us in Apple Podcasts and you can also visit us at the HYPERLINK “http://www.legaltalknetwork.com” legaltalknetwork.com, where you can leave a comment on today’s show and sign up for our newsletter. J. Craig Williams: Well, this is Craig Williams with Bob Ambrogi, thank you for listening. Join us next time for another great legal topic; when you want legal, think Lawyer 2 Lawyer.